For even the most organized and experienced renovators, working through complex council regulations, approvals and restrictions can be a nightmare. Stress less, that’s where we come to the rescue – Logan Granny Flats can take care of that for you. Q. Are there any restrictions on Granny Flats? A. Yes, Logan City Council has a size limit on Granny Flats – it’s a maximum of 70m2, 2 bedroom of living space, not including car accommodation or outside under roofline entertainment space such as a deck. If your property is over 1,000m2 you may be eligible to build up to 100m2 Granny Flat. There are of course, other building and town planning approval criteria that would need to be looked at in each individual case. Q. Do I require rezoning of my property to obtain building approval for a Granny Flat? A. No – a rezoning is not required. Q. How do I know if my property is suitable? What are the requirements for building a Granny Flat on my block? A. Logan Granny Flats can do an initial assessment of your site to see if your property is suitable as a free service. Q. Can you find me a suitable property to build a Granny Flat on? A. Yes, that’s one of the services that Logan Granny Flats can offer. We are fully licensed real estate agents so we can act as Buyers Agents for you to find a suitable property! This is our specialty! Q. Does the Granny Flat have to be separate from the house, or can it be attached? A. You can have it attached or as a completely independent, stand alone building from the main dwelling. It will depend to some degree how the existing house sits on the block, but we can advise you free of charge on this aspect. Q. Can I have a custom designed Granny Flat? A. Yes, ABSOLUTELY! Our Sales Team will work with you personally. If we don’t have a plan that suits your block specifically, then we can design one that will be a perfect fit. No one property or block of land is the same. We are both so pleased to have an architect that’s part of our Granny Flat Team – Russell Wombey, who has had over 40 years experience in passive solar house design work. Look at us as being able to fit to suit!! Q. How complete is the house when it is delivered to my site? A. We are not a kit home company. Most of our homes are built onsite. Each house is completed, exactly like a new home – only on a smaller scale. Once we have the completion certificate as issued by Logan City Council (LCC), we can hand over the keys!! Or if it’s for your investment property, we will have already had it listed for rent just prior to being completed so that on final inspection we already have a tenant lined up for you … it’s that easy!! Q. If I choose a house today, how long will it be until I or my new tenants can move in? A. Typically, a normal house takes around 12 – 16 weeks to build. In this instance, we take on average 4 - 6 weeks, once we have building approvals from LCC. Q. Do I have to arrange for services to be connected? A. Yes, you will need to arrange for service connections. We can organise some of this on your behalf, but the service providers will need your permission first. Q. Do I have to deal with council – I have never built a home before? A. 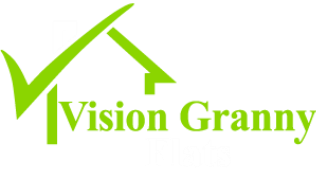 You have complete peace of mind with your Vision Property Group / Logan Granny Flat purchase – we handle all council applications, soil testing and any other regulatory issues under most circumstances. Q. Why would I choose a Logan Granny Flat over another housing company? A. Logan Granny Flats, which are a division of Vision Property Group (Qld) : Julie and myself (Sonia) identified this niche and saw it as a great opportunity for investors and homeowners alike. We first saw the opportunity in Ipswich, which was the first local council in Queensland to allow Granny Flats to be built as pure investments. We are both passionate property geeks – this has led us both to working in the property industry now for a number of years. Our business has grown from a love of property and the desire to assist others achieve what we have in the past 10 years. And we are both passionate about design principles using passive solar orientation, sustainability but also about being affordable to the average mum and dad. We are unique in that we can provide a number of different styles and methods of construction, all designed to meet you, our clients needs. We support local businesses where we can and only build using good quality, reputable products. Q. Does my Granny Flat come with any warranty or guarantees? What if something needs repairing? A. We provide all the applicable warranties as per any new home. Plus you have full time access to our Client Services Manager who can assist you with any questions you have. Q. Do you have an inhouse draftsman? A. Vision Granny Flats are very privileged to have Russell Wombey, an architect of many years who led the industry and specializes in passive solar design, to lead Logan Granny Flats in all their design work. We have a support team of engineers and draftsman to assist this process. Russell will determine the best use of your site, with its own individual requirements as part of our design process. We don’t provide a full architectural service – this is not what we are about. Q. Is the company privately owned? A. Yes. Vision Property Group (Qld) was established in 2012 by Sonia Woolley and Julie Adams who saw a niche within the local market for well designed, environmentally friendly, innovative housing solutions within SE Queensland – but particularly Logan and Ipswich LGA, our home area!!! We are both driven, enthusiastic and passionate about property – we love good design, affordability and a commitment to excellence in customer service. And our goal is to share this with as many home owners and property investors as possible. Q. Will one person be my contact throughout the whole process? A. Will one person be my contact throughout the whole process ? Yes, either myself (Sonia) or Julie will be your contact person. We will show you our range of houses and will work with you to determine what will best suit your own site – whatever the constraints maybe. We will look after you throughout this process until you are ready to sign your contract. Once you have signed your contract our Construction Manager (a licenced builder of many years) will oversee the project to completion – ready for handing the keys over.